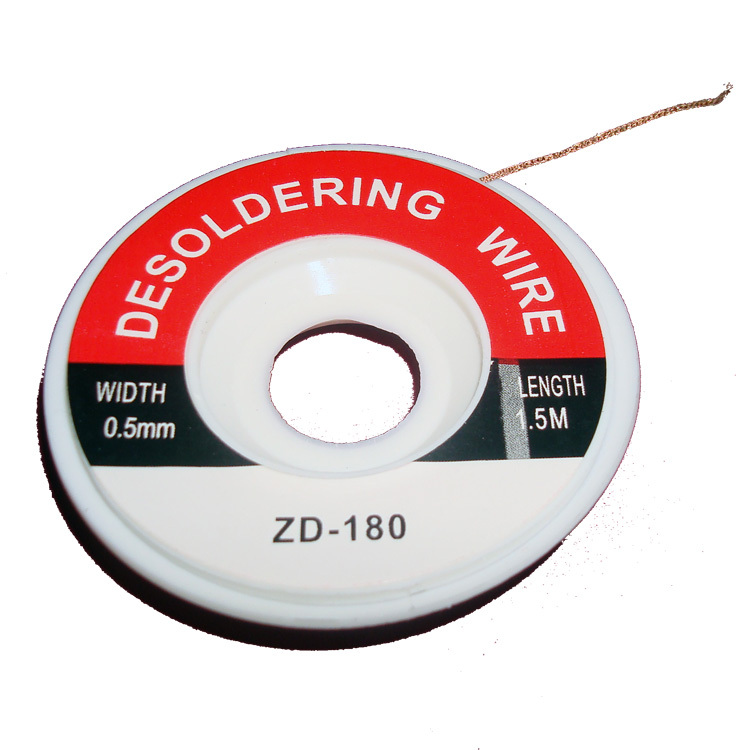 This ESD safe spool of desoldering braid is made of ultra pure copper braid to quickly wick excess solder. A necessity for clean PC board soldering jobs. Desoldering Braid is used to remove components, SMD's, IC's, icicles, blobs, clean script & correct poor solder connections.